It is recommended to have a website focusing on specific niche. This will help Google and other search engines to assign high domain authority for specific keywords. Assume you have a WordPress tutorial site with 500 relevant posts. Guaranteed your site will be listed top in search results compared to other sites just covering WordPress as one of the category. But it is unavoidable to categorize the site; even you are focusing on a specific niche. Taking WordPress as a niche, you still need to categorize the content for themes, plugins, deals, hosting, etc. The problem arises when you want a user to subscribe for your content. No single user in the world will be interested in receiving all content on your site. Some may be interested in themes; some may be plugin related stuffs. In such scenario it is a good idea to offer category based subscription. This will help users to subscribe only the interested categories rather than the whole content. 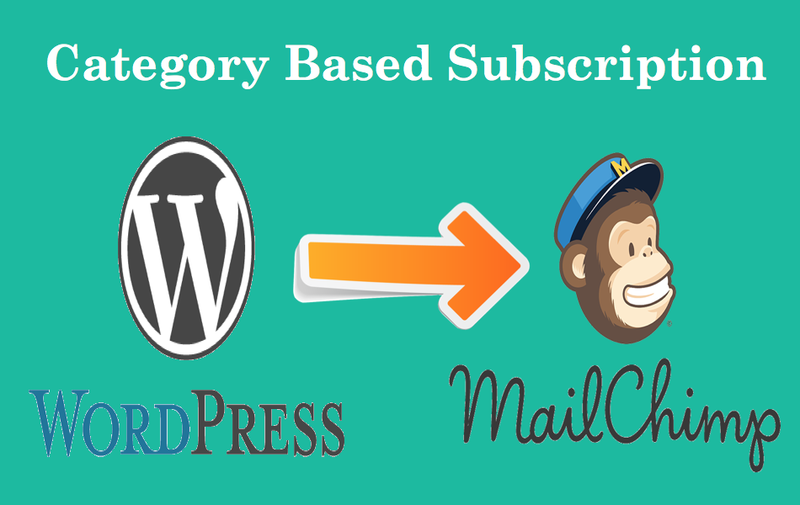 In this article we will explain how to create category based subscription in WordPress with MailChimp. The first step is to prepare how many categories you want to offer for subscription. Choose five or six major and important categories on your site. You can ignore the minor categories and the ones you are not updating frequently. Note down RSS feed URLs of all identified categories. 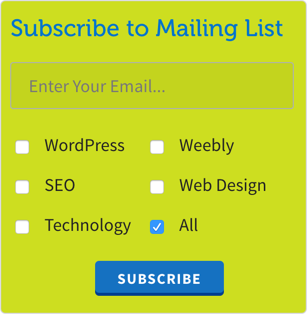 Login to your MailChimp account and create a new list under “Lists” tab. Click on “Create List” button and provide the required details to create a new list. Once the list is created, it will be displayed under “Lists” tab. 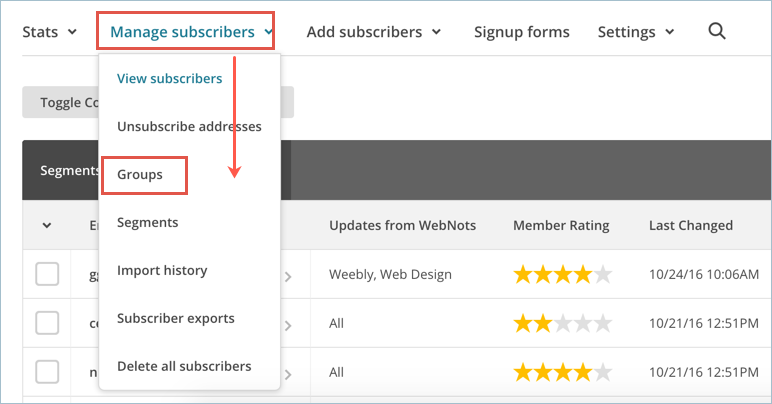 Click on the list and then navigate to “Manage Subscribers > Groups” menu. You can choose to show the groups as a checkbox, radio buttons and dropdown. 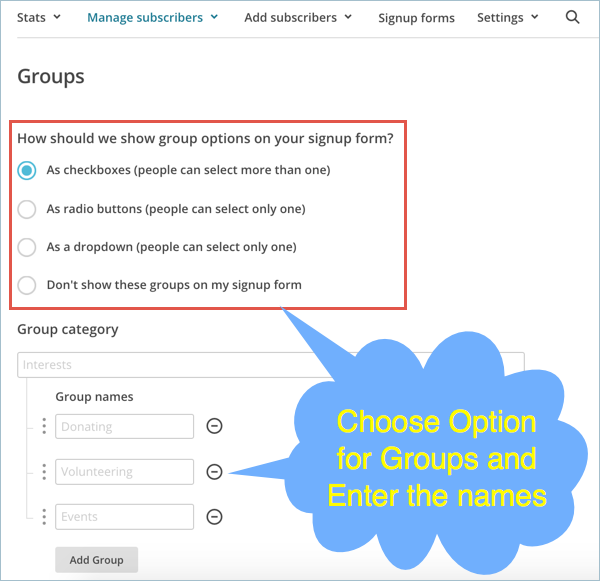 Also you can choose not to show any of the groups in the signup form. Enter the group category and individual group names. Save your changes to create new groups under your list. Once the groups are created, the group category name will be shown under “Manage Subscribers > Groups” of your list. You can view the group details by clicking on the “View Groups” button. Each group should be assigned to your WordPress category feed URL obtained on step 2. Click on the “Send to” option available against the group name and choose “RSS Campaign” option. 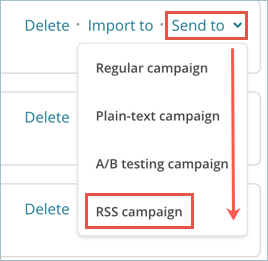 Enter the category RSS feed URL and choose the timing for sending automated campaign. When there is a new content available under the feed URL then MailChimp will automatically trigger the newsletter to the subscribers. Follow the wizard to create your RSS campaign. 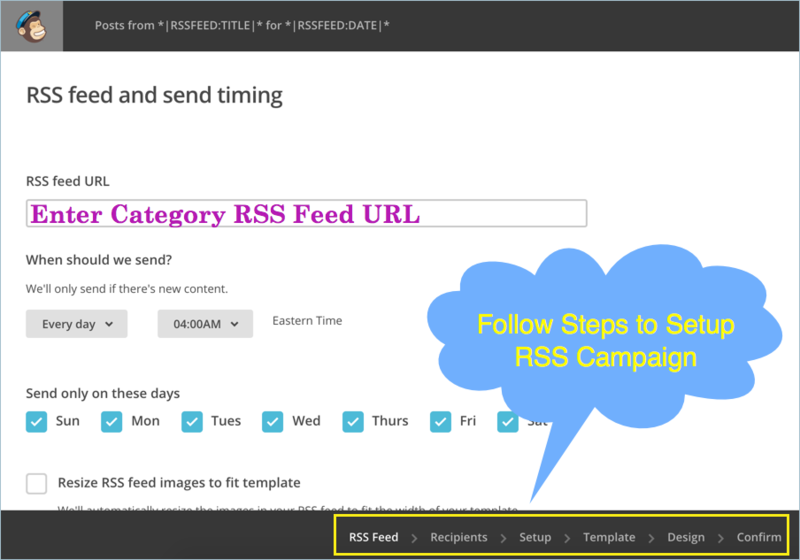 Create RSS campaigns for all individual groups by assigning corresponding category RSS feed URL. Now that you can completed all the setup and the next step is to get the signup form code. 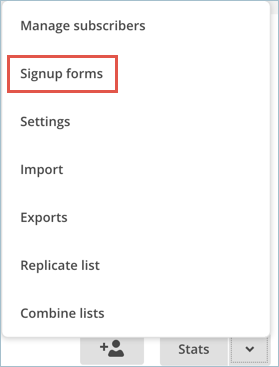 Go to “Lists” tab and navigate to “Stats > Signup forms” option. Here you will see multiple options to create your signup form. 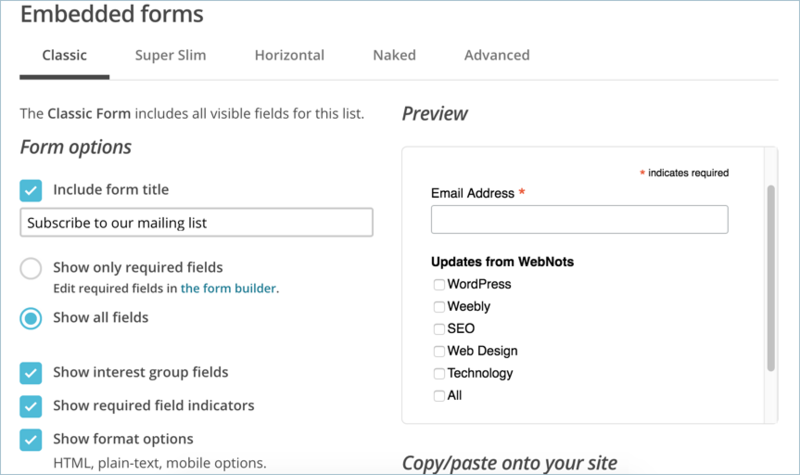 Select “Embedded forms” option. You can customize the look of your signup form and get the embed code. The last step is to use “Text” widget and add the embed code on the sidebar or footer of your WordPress site. You can customize the background color, fonts and alignment with your own custom CSS. The above method allows high flexibility that you can stop the campaign any time and send custom newsletter templates in MailChimp. If you want a simple category based RSS feed subscription then install and activate “Category Specific RSS feed Subscription” plugin. This plugin will allow you to simply add category based feed buttons without any integration with MailChimp. This means subscribed users will read the latest update on the browser using any feed readers and you will not be able to get email ids and send custom newsletter. It will be useful when you have no time to collect and manage the subscriber emails. This is very helpful. Just to take it a step further, is there a way to allow people to subscribe to combinations of categories without having to set them all up as groups? For example if I have 20 categories that are all quite separate and someone would only be interested in two of them, I’d like to allow them to subscribe to only those two. Setting up groups for every possible combination would take a fair while so just wondering if there is a way to avoid this that you’re aware of? Otherwise, many thanks again for this helpful piece! Very straightforward instructions…saved me a lot of time. Thank you!. What happens if a user selects 2 categories and the post is in 2 categories. Will the user get 2 emails?